We've been asked to participate as one of over 30 speakers in the upcoming Full-Time Freedom Week. From Monday, November 19 - Friday, November 23 (Thanksgiving Week), several videos from current full-timers on a variety of topics will be posted. There will be two live videos each day in addition to three or four other pre-recorded videos. To have access to the videos, you have to register but registration is free to view the videos that week. However, each video will only remain viewable for 24 hours after posting unless you purchase an ALL ACCESS PASS. 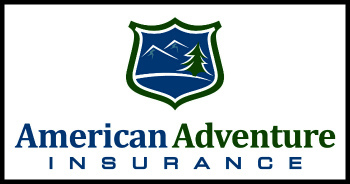 To view all the videos when you want and make sure you don't miss anything, you can purchase an ALL ACCESS PASS for $47 to get 1) online access to all the videos for 10 months, 2) the chance to download all the videos after the ten months, and 3) a digital "coupon book" for discounts on a wide array of RV products, services, and memberships. Oh, there is a short "early bird" window to get the ALL ACCESS PASS for $37 if you purchase by October 25. You can click on any of the links or images in this post to learn more or you can go to a more detailed Journal post I wrote earlier: Full-Time Freedom Week - Coming Up Thanksgiving Week. If you are considering, planning, or dreaming about a full-time RVing lifestyle, this is a very inexpensive way to get a lot of information on different topics from many perspectives. Just a reminder, that today, October 25k, is the last day of the "early bird" pricing of $37. Of course, the regular pricing of $47 is still a good deal. And even if you are not sure yet, you can register for free, watch a few videos and then decide later if would like to purchase an All Access Pass. I already signed up for the free stuff, being the cheapskate that I am. I guess I'm going to have a busy 5 days. 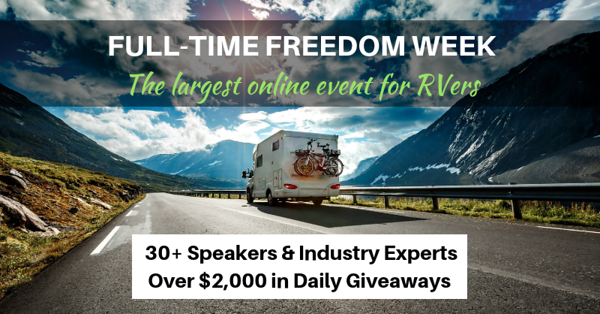 I just watched the first two presentations of "Full-Time Freedom Week". Well done and interesting info. Check it out this week. I'm sitting around on an 80 degree day with nice ocean breezes here in Mazatlan. Hey Russ, Yeah, I've watched a few of the videos ourselves, and have confirmed my thoughts that the $47 ALL ACCESS PASS is definitely worth it. We had a great time doing our Live video Monday night, and with 40 something videos, give aways, the digital coupons for those the purchase the PASS this week (Friday, Nov 23 is the last day to get the PASS with the coupons), and the 10% going to the National Park Foundation, it's quite a worthwhile investment.